You will be picked up from your hotel in Cairo at 09:00 a.M., transfer to Nuweiba via an air-conditioned modern vehicle, approximately 6 hours from Cairo. Overnight in Nuweibaa. At 04:30 am transfer from your hotel in Nuweiba to Nuweiba Port where you will take a boat to Aqaba. 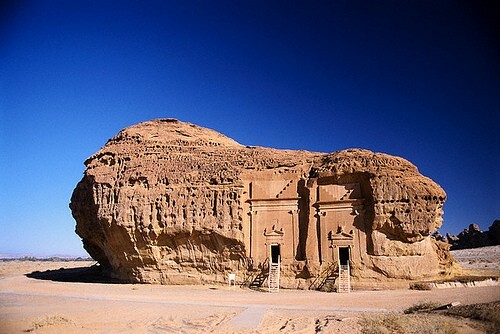 There you will be met and taken directly to Petra for an enjoyable full day tour to the Red Rose Rock City, the city of the Nabateans and the lost city which are carved in the mountains. Enjoy Riding a horse to the Siq (canyon); a natural crack in the rocks of the Nabateans, which was developed into their structure elements. Walk through the 1.2 km canyon and enjoy the beautiful carvings of statues, idols and niches on the way to the 2000 year old treasury which appears from around the corner. Proceed along the facade street to the Roman Theatre, Royal Tombs, the Roman Colonnaded Street, Qasr Al-Bent and then The Archaeological Museum. After lunch, head back to Aqaba city for a short city tour and some free time for shopping, the back to Nuweibaa. Transfer to your hotel in Nuweiba and overnight. You will be picked up from your hotel in Nuweibaa at 09:00 am, transfer to Cairo via an air-conditioned modern vehicle, approximately 6 hours . End of the service upon arriving in Cairo.